Ah, this brings back memories! 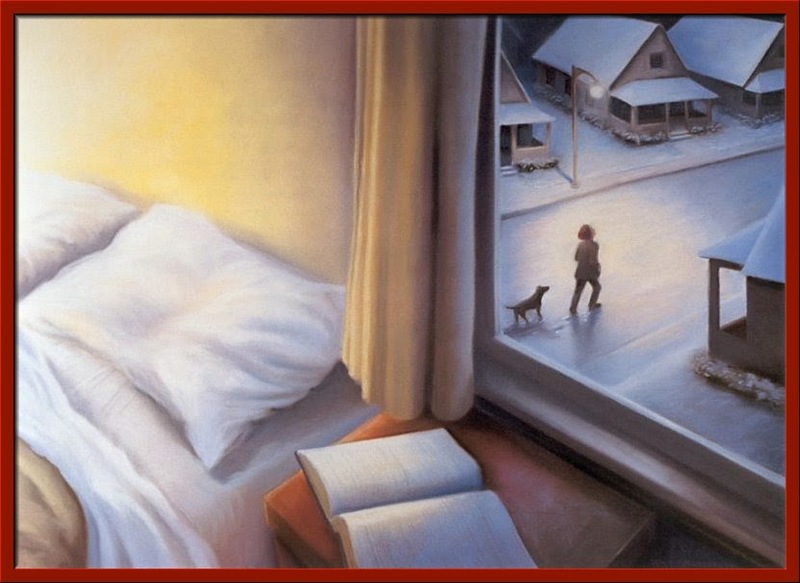 "Life's Little Interruptions" by Deborah DeWit. Used with permission. There hasn't been much snow in the Big Apple at all this year. I can't hack snowy, icy streets and I've been able to go outside so far. I hope it's light this year so I'm not stuck inside. I like Deborah DeWitt's artwork. DeWit is probably my favorite contemporary artist.